What are you hearing about growth outside the U.S.? We are beginning to hear anecdotal evidence of the pickup in economic activity outside of the United States. That you are in the midst of what could be considered a synchronized global economic expansion. That many of the policies in place outside the United States, in Europe, even in the United Kingdom, even in China, are starting to pay off from economic activity. And we think that is quite healthy and can affect small-cap companies domestically or in the United States. How will U.S. small-caps be affected by improving international growth? It's probably one of the biggest questions we’re getting right now: So why own small-caps? I think the common perception and reason why people want to own small-caps in the United States is driven by what happened in Washington around the election in November of last year. The fact that we could see corporate tax reform, the fact that we could see infrastructure spending, the fact that we could see deregulation, all of which would be very positive for domestically focused businesses, specifically small-cap businesses in the United States. I think the surprise to people, and part of the reason why we think small-caps are actually quite interesting right now, is because of what’s happening outside of the United States. Some of our businesses that generate revenue outside of the United States are actually raising guidance due to the fact that they’re getting more orders, and their order book is filling up. And we think that's significant. So you're on the cusp of what you're seeing anecdotally of a synchronized global economic recovery. Small-caps generate more revenue outside of the United States than people think. The common numbers are revenue of about 19 or 20 percent within the small-cap space is generated outside the U.S. versus 35 to 40 percent for large-cap companies. Within that 19 to 20 percent what you find are very economically sensitive or cyclical businesses who are benefiting from that opportunity. The rest of the Russell 2000, be it financials, be it REITs, be it utilities, be it even healthcare, are very domestically focused. Economically sensitive or cyclical businesses, in the research we’ve been able to do, you'll find that a big portion of technology revenue is generated outside of the United States. A big portion of the material industry is generated outside of the United States. And that's significant. Because that's the opportunity set within the market today. We've lived in a world where people have overpriced safety and growth. We saw that in the first part of this year. Safety in utilities and REITs, growth in biotechnology and certain parts of technology doing well. But what you would find is that in these economically sensitive or cyclical areas of the market, industrials, materials, boring technology companies, semi-conductor, semi-conductor equipment industry, you see a lot of that revenue growth being generated outside the United States. That's part of the reason why you want to be looking at small-caps today. Yes, Washington and the changes there could be good for small-cap, but we don’t need those necessarily for small-caps to continue to do well from an earnings perspective. 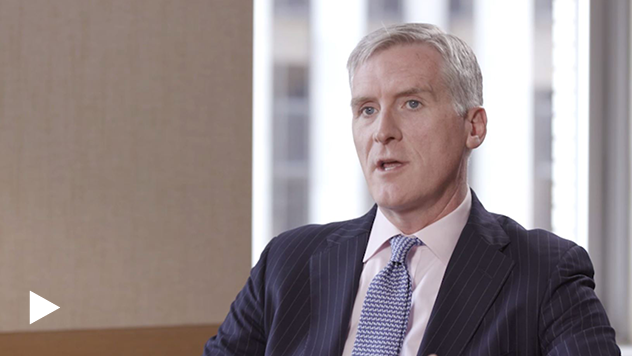 How are Royce's portfolio managers looking at cyclical areas? Royce's portfolio managers have been looking at cyclicals for a long period of time. As we’ve gone through these periodic economic growth scares around the globe, that’s where the opportunity set has been found within small-caps. Over the past several years as we've gone through China's issues or Europe's issues, economically sensitive or cyclical businesses have been where we've been able to find the valuation opportunities in these businesses that we would like to own for a long period of time. How do small-caps participate in growth outside of the U.S.? Small cap-companies in the United States participate in growth outside of the United States really in two ways. One, directly, by those companies that sell overseas and indirectly for those companies that actually sell to businesses that might be domestically focused here, but actually sell more outside of the United States. So it's a combination of those two ways that these businesses are able to take advantage of the economic you know, activity we’re seeing outside of the United States, which we think will be quite positive. The thoughts and opinions expressed in the video are solely those of the persons speaking as of July 12, 2017 and may differ from those of other Royce investment professionals, or the firm as a whole. There can be no assurance with regard to future market movements. The Funds may also invest to varying degrees in foreign securities which may involve political, economic, currency, and other risks not encountered in U.S. investments. The performance data and trends outlined in this presentation are presented for illustrative purposes only. All performance information is presented on a total return basis and reflects the reinvestment of distributions. Past performance is no guarantee of future results. Historical market trends are not necessarily indicative of future market movements.